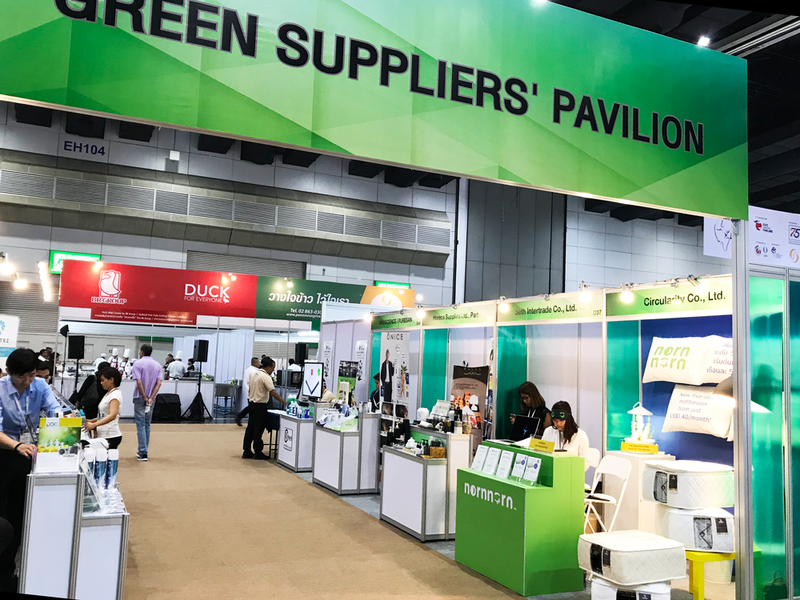 nornnorn took part in Food & Hotel Thailand 2018, one of Southeast Asia's most popular trade shows for the hospitality industry, between September 5 and 8 at BITEC, Bangkok. Our booth attracted more than 200 hoteliers and members of the hospitality industry, all of whom expressed very strong interest in our novel business model and mattress subscription service. Our CEO was also invited by the Thai Hotels Association to share with their members our service. nornnorn joins Indian Sleep Products Federation. Circularity Pte. Ltd., nornnorn’s parent company, has accepted the invitation from the Indian Sleep Products Federation (ISPF) to join the fraternity of Indian sleep products manufacturers in preparation for its planned expansion to the subcontinent. With all of India’s major manufacturers of sleep products as its members, ISPF’s vision is to promote the sleep product industry by enhancing consumer awareness on quality sleep, setting benchmarks for the industry’s products and services, and representing the industry with a commitment to society and environment. Circularity Pte. Ltd. is Southeast Asia’s first-ever company to have been invited to join ISPF. nornnorn is accepted into the MIST Startup Accelerator Programme. Out of more than 100 applicants, the Mekong Innovative Startups in Tourism (MIST) Startup Accelerator has selected nornnorn as one of the 19 startups from Cambodia, Laos, Myanmar, Thailand and Vietnam to join its 2018 programme. nornnorn will join the MIST Travel Startups Fundamentals Bootcamp between May 17 and 22 in Ho Chi Minh City. The MIST Startup Accelerator aims to propel innovative startups and companies operating in travel tech, hospitality, and tourism. It is funded by the Australian Government in partnership with the Asian Development Bank (ADB). MIST also receives support from the Mekong Business Initiative (co-financed by the Australian Government and ADB), Destination Mekong and the Mekong Tourism Coordinating Office. nornnorn has incorporated in Singapore under the name Circularity Pte. Ltd. to prepare for our expansion in Southeast Asia. Circularity Co., Ltd., the parent company of nornnorn, has received an angel funding from a Phuket-based investor with more than 20 years of experience in supplying mattresses and beddings to hospitality businesses in southern Thailand. The investment values nornnorn at USD1.21 million.